If there’s one field of science we think everybody should delve into, it’s physics. Understanding the essential rules that govern how objects move and interact can be helpful in many different areas. But grasping the concepts of vectors of force is tricky, even for the mathematically minded. That’s where Professor Tennis comes in. The pseudonym of Don R. Mueller, an ambidextrous multi-degreed polymath, comedian, trainer, teacher and songwriter, Professor Tennis is all about making the abstractions of physics real and understandable through entertaining experiments and exhibitions. 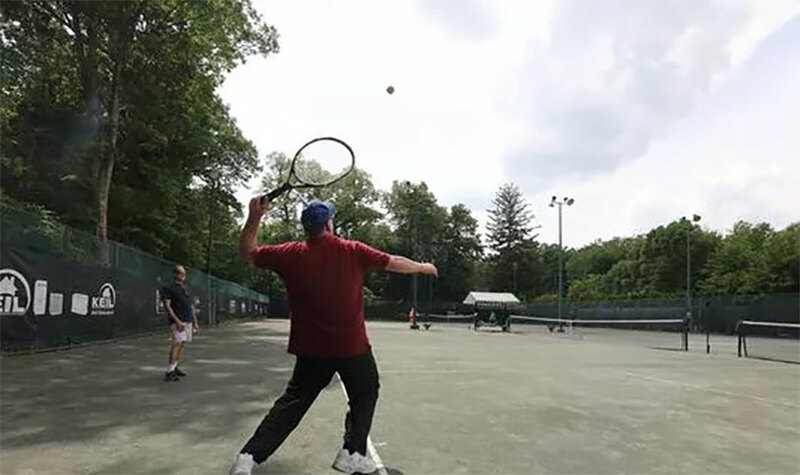 He uses radar guns to measure the speed of his serves (which he can knock out with either hand) and creates videos on improving your tennis game with classical mechanics. That’s a pretty great approach to the science and the sport, and we encourage you to check out Professor Tennis if he comes to your town.